In the span of five weeks in early 1975, three explosions hit Kenya’s capital. The first was in the lavatory of the iconic Starlight Nightclub that once stood where Integrity Center stands today. The second hit the Information Bureau near the Hilton Hotel. 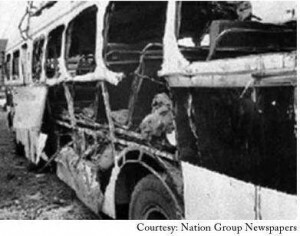 A few weeks later, a third bomb exploded, this time in a bus bound for Mombasa at the OTC bus station. The third was by far the worst of the three; it claimed the lives of at least 27 people and injured an estimated 100. The aftermath of the OTC bus bombing. All three bombings in Nairobi seemed to follow one man, the ill-fated JM Kariuki who would be assassinated a day after the third attack. The parliamentary inquiry into JM’s death alludes to similar bombings in Mombasa at the same time and following a similar pattern. The Mombasa bombings do not appear in detail anywhere else in available records. The Starlight bomb went off on the second week of February. There were no fatalities, although there are no records of whether there were any injuries. It is likely that there were, given the manager’s, Robbie Armstrong, estimate that at least 12, 000 people went through its doors every month. Among the impressive patrons included presidents, ministers, legislators and prominent individuals seeking a good time in Nairobi. 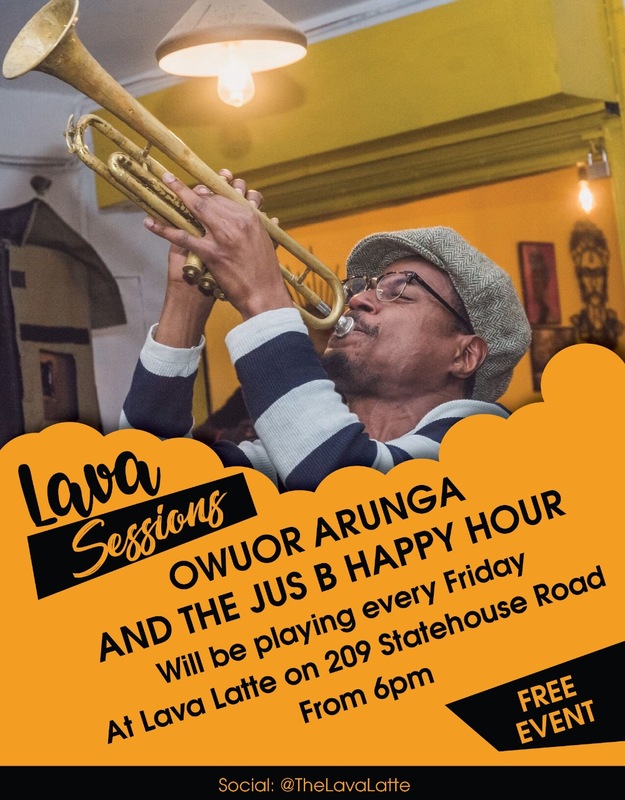 JM Kariuki also frequented the club, a converted church that hosted the biggest bands of the day, and is said to have been a director and investor at the time of the bombing. Shortly after, an anonymous caller tipped the Central Police Station that a second bomb would explode at the Tour Information Office, an information bureau next to Hilton Hotel. The caller claimed that a group called Maskini Liberation Organisation (MLO), a shadowy organisation that had been started in 1974 as part of a propaganda campaign against JM Kariuki. In the months preceding the bombings, leaflets had been distributed all over Kenya. The leaflets claimed that JM, Charles Rubia and five other ‘dissidents’ were the trustees of the MLO. This propaganda campaign was followed by a series of bomb hoaxes in the form of phone calls to the police and media houses. None of them ever came to anything, however, until the day after the Starlight explosion. The call to the Central Police Station was not a hoax. Two hours after the call was made, a bomb did go off at the Tour Information Office. There is often no mention of any casualties or injuries at the second bombing, but it is likely that there were a few. The stress of the assassination attempts started to take its toll on JM. His doctor advised him to take some time off; on February 28, he sent Elizabeth Koinange, a friend, to book bus tickets for the two of them. The Mombasa-bound bus would leave the Overseas Trading Company (OTC) bus stand at Race Course road the next day. It never did. Instead, a bomb ripped the bus apart, killing 27 people and wounding dozens. But JM and his date were not among the dead or wounded. Why JM and his date never boarded the bus was relatively unknown in the early years. It is now known that JM’s friend Isaac Macharia dissuaded him from going to Coast. It turns out to have been the best decision, unless you count the fact that he died the next day. Whenever you read the story of the hours leading to the assassination of JM, you will always find it curious that a Member of Parliament was accosted by several senior police officers and a police reservist, the badass PD Shaw, at the Hilton Hotel. He was actually being interrogated about his role in the bombings. The police were trying to fix JM for the bombings that seemed intent to kill him. According to Charles Hornsby, JM told Parliament the day after the second explosion that his car had been hit by ‘what seemed by bullets.’ There was a clear plan to kill him, and it included releasing three informers, one of them a 38-year old bank robber called Pius Kibathi, to assist in pinning the bombings to him. It is the three who bundled the bleeding MP into the back of a meat van with the inscription “The Meat Park” at the basement parking of Kingsway House. With JM’s death on March 2 the bombings quieted down and no arrests were ever made. The city remained at peace from explosions for another five years, until a bomb ripped apart the Norfolk Hotel on New Year’s Eve, 1980.